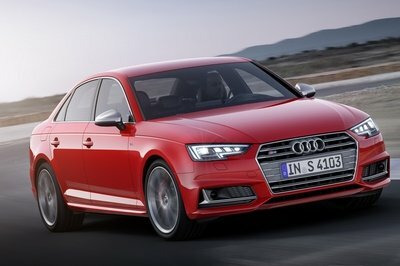 Audi has been busy redesigning its lineup lately, and the redesigned 2016 Audi S4 debuted at the 2015 Frankfurt Motor Show in September of 2015. Now, just six months later, Audi is set to release the redesign S4 Avant at the Geneva Motor Show. As expected, Audi has released some information regarding the newly designed model, as well as a number of pictures that gives us a peak at the Avant before its official debut. Obviously the new Avant will share a lot of the same design we see on the S4 and A4, which is still remarkably similar to the previous generation models. 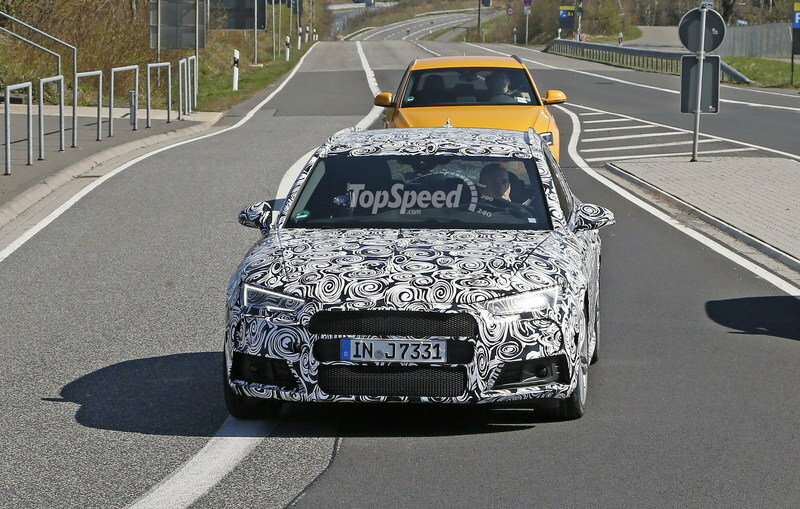 While that is the truth, Audi’s new design still manages to bring enough new character to the S4 Avant that buyers have something fresh to look at when the model goes on sale later this year. The S4 Avant is made primarily for the European market, and it really is just an S4 sedan with a bigger rump, but that doesn’t mean it isn’t interesting. So, with that said, we’re going to take a detailed look at the new S4 Avant and what we’ll see when the sheet is pulled off of it in Geneva. Continue reading to learn more about the 2017 Audi S4 Avant. As expected, we see the same design cues from the S4 and A4. Notable changes over the previous generation in the front include a new headlight design and a new design for the corner vents on the front fascia. The headlights now have a sharp cut out on the lower side, giving them a much more interesting look over the old units. The corner air vents on the fascia now have a distinctive body line surrounding them and the come to a much sharper point to on the inside edge. A distinct, 90-degree louver is now placed on the outside and bottom edge, providing significant depth and character to the front end. Naturally, the bold, Audi grille with its sharper points makes up the centerpiece of the front end. In comparison to the previous model, the new design brings the same body line below the waistline and above the side skirts. The mirrors are more of a tear drop shape with the new design, but are still two toned with a silver finish on the mirror housing and black arms. The mirrors mount to the door itself, as opposed to the triangular panel that sits at the front corner of the windows. The new S4 Avant rides on different wheels than the previous generation – the spokes are much thinner and come to a sharp point at the center base of the wheel. To the rear, the new S4 Avant has a small overhang on the rear hatch that is barely noticeable. The taillights take on a similar shape as those seen on the new S4 sedan, but the top half of the hatch mounted light is significantly longer. The other noticeable difference is that the reverse light has been placed in the middle of the taillight on the hatch as opposed to being placed at the bottom of the assembly. Down below, a thin but long reflector has been placed on each corner of the rear fascia. A large rear diffuser with two fins separates the exhaust outlets. Overall, it isn’t a bad design, but it still seems a bit too similar to the previous generation model for me. Inside, the cabin reminds me a lot of other offerings from Mercedes. As you can see in these images, the seats are wrapped in a gray Nappa leather, as are the armrests on the doors, the center portion of the dash, and the top outlining area on the center console. A brushed aluminum trim panel also resides on the doors, surrounding the door handle and control buttons. Other optional trim colors include black, rotor gray, and magma red. Optional S sport seats are available with integrated head restraints, adjustable lateral supports, and a pneumatic massage function. A flat-bottomed, three-spoke steering wheel links the driver to the front wheels, and a large, tablet-like screen is perched on the center stack. A number of vents run across the center portion of the dash, including two rather long vents in front of the passenger seat. It might seem a little outlandish, but it makes the cabin seem wider than it really is. Total seating is limited to five people, but the Avant does come with between 17.8 and 53.3 cubic feet of cargo space – depending, of course, on how the rear seats are oriented. As far as infotainment goes, the display screen is 8.3-inches in size and has a touchpad of zooming, scrolling and entering characters. The MMI operating system offers intelligent free-text search, phone integration, and a 4G LTE hotspot. With devices running iOS 7.1 or Android 5.0 and later integration allows functions like the phone’s navigation, music, and some apps to be controlled via the infotainment system. Audi Connect and the MMI connect app for smartphones allows the owner to connect to the car from a distance and control things like the door locks, heating and cooling, and can even be used to locate the car in large parking lots. Audi didn’t elaborate on the standard sound system offered, but a Bang and Olufsen sound system with 3D sound is available at a premium. The S4 Avant comes with a 3.0-liter, TFSI, direct injected engine that produces 354 horsepower and 368 pound-feet of torque. The turbocharged V-6 allows the S4 Avant to sprint to 62 mph in 4.9 seconds – just 0.2 seconds slower than the S4 Sedan. According to Audi, the S4 Avant achieves 31.4 mpg on the U.S. scale, or less than 7.5-liters per 100 km. 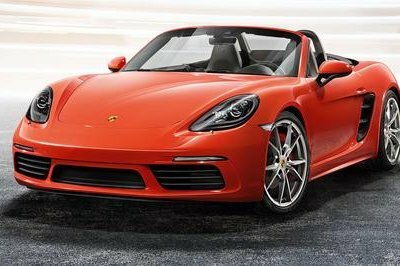 Power is sent to the wheels via an eight-speed Tiptronic transmission with short, sporty gear ratios in the lower end and longer, drawn out higher gears. Naturally, the S4 Avant has Audi’s awesome Quattro all-wheel drive system that is slightly biased toward the rear wheels under normal conditions. Five-link front and rear suspension gives the car a smooth ride and sporty stance, and the Avant is equipped dynamic steering that alters the steering gear ratio depending on how fast the vehicle is moving. An Audi drive select system allows the driver to control things like how the transmission shifts, and how the engine responds to input, depending on the selected mode. 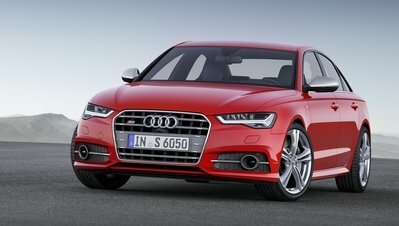 The new S4 Sedan comes in at 59,300 euros, so it is only fitting that the longer Avant comes at a premium. It isn’t much, though, as the Avant will start out at 61,150 euros when it hits dealers later this year. Don’t look for the S4 Avant in the U.S. any time soon. It’s key market is the U.K. and other select European countries. In the U.K., one of the few models that competes with the S4 Avant is the BMW 335i M Sport Touring. Not only does this wagon feature the TwinPower Turbo 3.0-liter inline-six engine that puts out 306 horsepower and 295 pound-feet of torque, but the M Sport Package adds in sharp body styling, a sportier interior, and better handling. This Bimmer wagon can hit 62 mph in as little as 5.2 seconds, and it tops out at 155 mph. Pricing starts at £38,295. 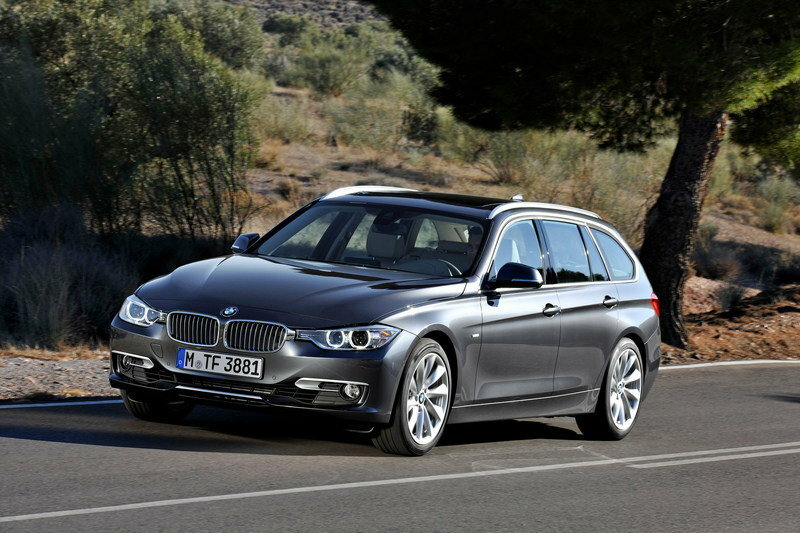 Read our full review of the U.S.-based 3 Series Sports Wagon here. Finding a C-Class Wagon that competes with the S4 Avant takes some digging, and even then, it is not a perfect match. 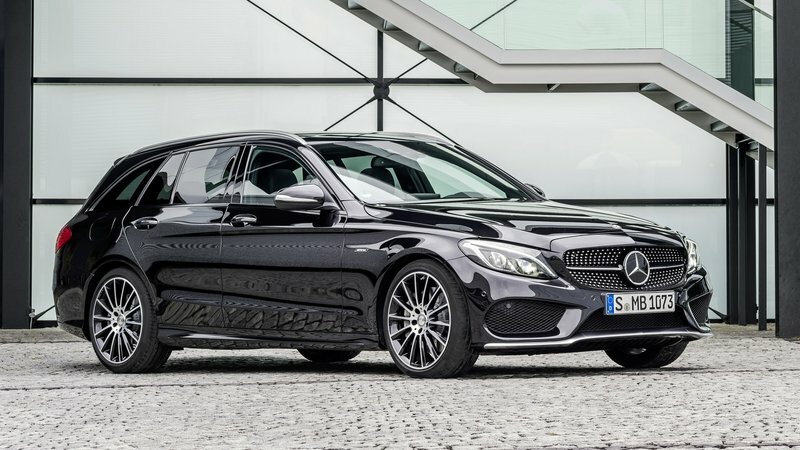 The closest to it in terms of straight-line performance and pricing is the recently unveiled C450 AMG Sport 4Matic Wagon. Mercedes-Benz has never had a true rival for Audi’s "S" models until this one, and the newly formed "AMG Sport" sub-brand will take care of this issue from 2015 onward. Read out full review here. It’s really too bad that a model like the S4 Avant is probably never going to make it to the U.S. I’ve started to grow quite fond of wagons that are on the sportier side, but there just isn’t that much of a market for them here. I mean, in all reality, who can really argue with a wagon that can hit 62 mph in less than five seconds? The design of the new S4 Avant is bold, just like the sedan, and it is certainly worth considering if you’re in Europe and in the market for a 60,000 euro wagon. Nothing beats getting groceries super fast! 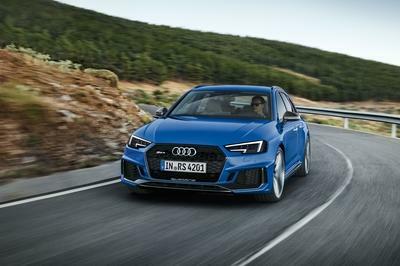 From 0 to 100 km/h (62.1 mph) in 4.7 seconds with fuel consumption of less than 7.4 liters of fuel per 100 km (31.8 US mpg) – the new Audi S4* and the new Audi S4 Avant* are advancing to the peak of the competitive field with strong performance and exemplary efficiency. 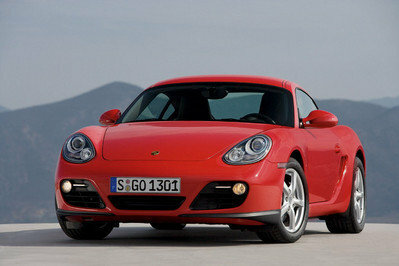 Its newly developed turbo V6 engine outputs 260 kW (354 hp). New solutions in networking and assistance systems round out its features. Audi is transferring many technologies from the full-size class into the mid-size class. The new Audi S4 and S4 Avant seats five people comfortably. The horizontal lines of the instrument panel with its wide band of air vents convey an impression of generous width. The S4 Sedan offers 480 liters (17.0 cu ft) of luggage volume, and the S4 Avant offers from 505 to 1,510 liters (17.8 - 53.3 cu ft) depending on the positions of the rear seat backrests.